This episode talks about how artists tell a story through their art. They can tell it visually, or with words, or with a title. I also talk about how they can tell their own story, through their website, social media, or in person. 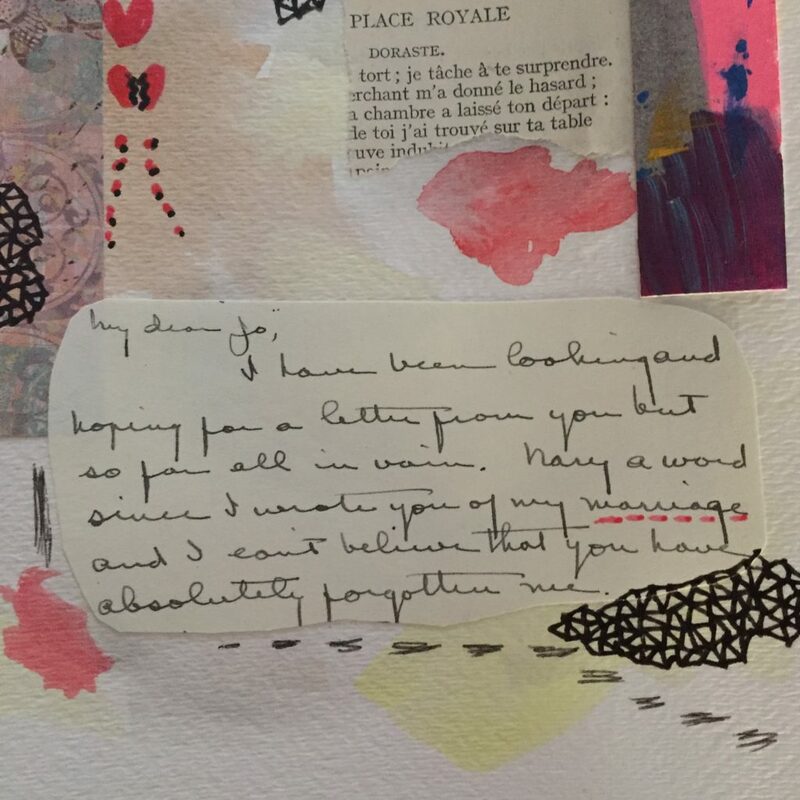 This is a collage I did that tells the story of a time when my grandmother received letters from a friend who was serving in France during WWI. 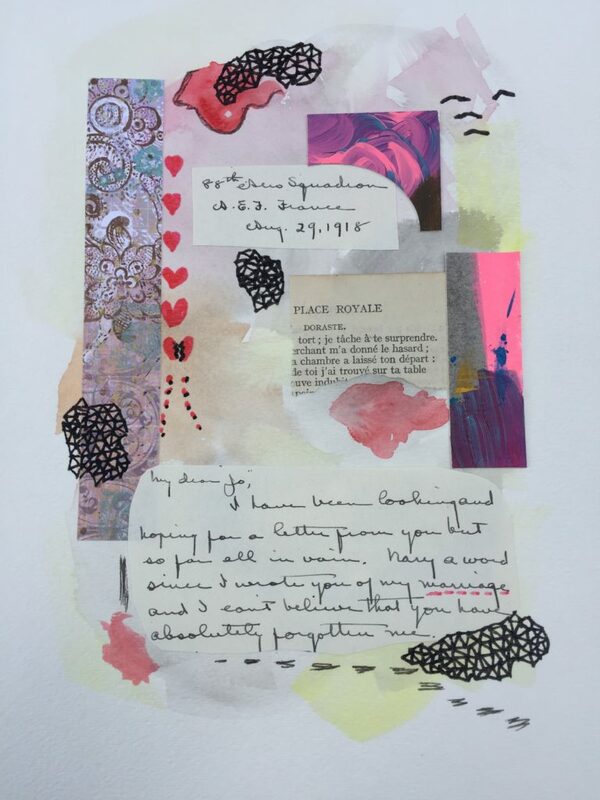 I told this story through a 16-collage series. 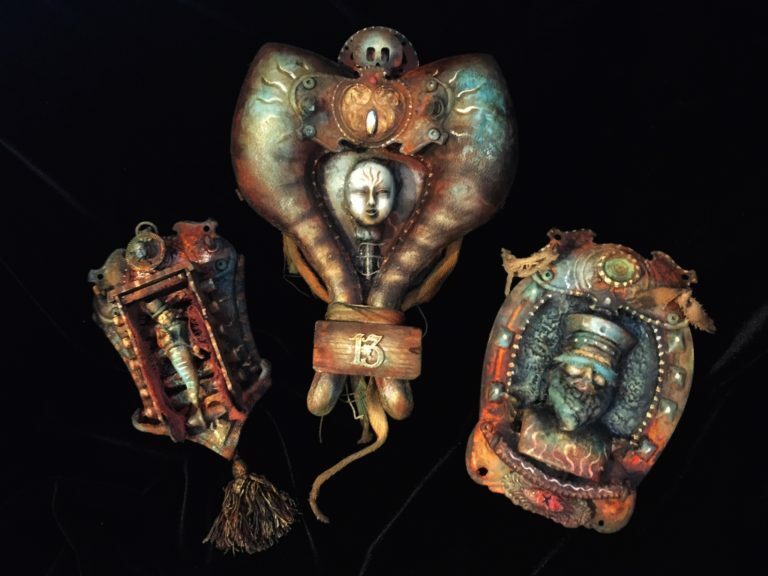 These are assemblage pieces created by Michael deMeng (Episode 55). What story do you think they tell?